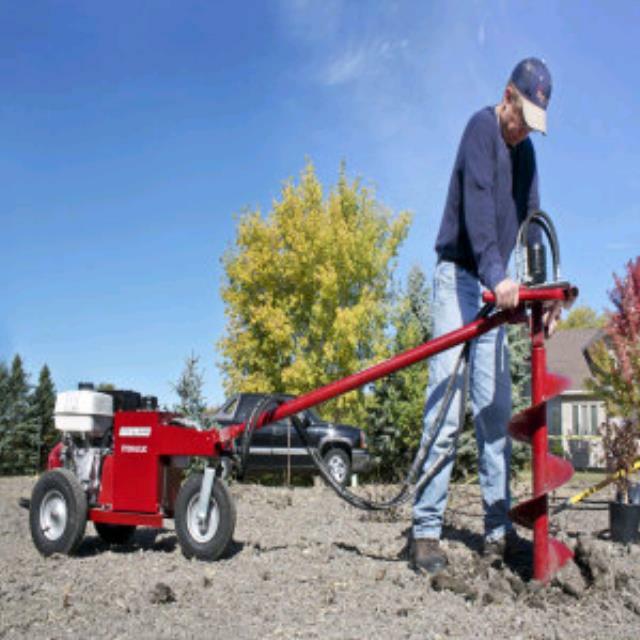 The power augers we rent are designed for boring holes into the earth. They are also known as earth drills and post hole diggers. The units we rent have a hydraulic power pack with an 11 HP Honda motor attached. The motor turns a hydraulic pump which, in turn, spins a hydraulic motor on the auger power head that causes the auger bit to spin. A bar, known as a torque tube connects the power head to the power pack which protects the operator from hurting themselves. The unit rents with either one 8 bit or one 12 bit. Either of these bits will allow the operator to dig up to 3 . We do rent bit extensions. The 8 extension (499026) allows for an additional 3 of depth while the 12 extension (499028) adds 18 of depth. These units are large and cumbersome, and as such require a pickup truck or trailer to transport. Also, 2 operators are recommended. It is best practice to take small bites , meaning to drill down only a few inches at a time and then pull up to aid in removing the soil. 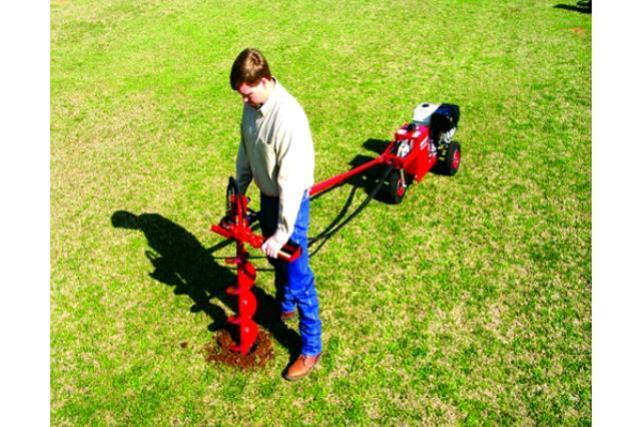 It is possible to completely drill the auger into the earth. The unit does have a reverse function, in order to back the bit out of the earth if the operator is over zealous in their digging abilities. * Please call us for any questions on our power auger with 3 foot bit in Concord, serving all of New Hampshire, including Manchester, Canterbury, Loudon, Hillsboro, and Northwood.